James Baker's career in Washington occurred during major world events. This timeline highlights significant events in Baker’s career and some important global events in history. different eras of the Cold War. career during the Cold War. 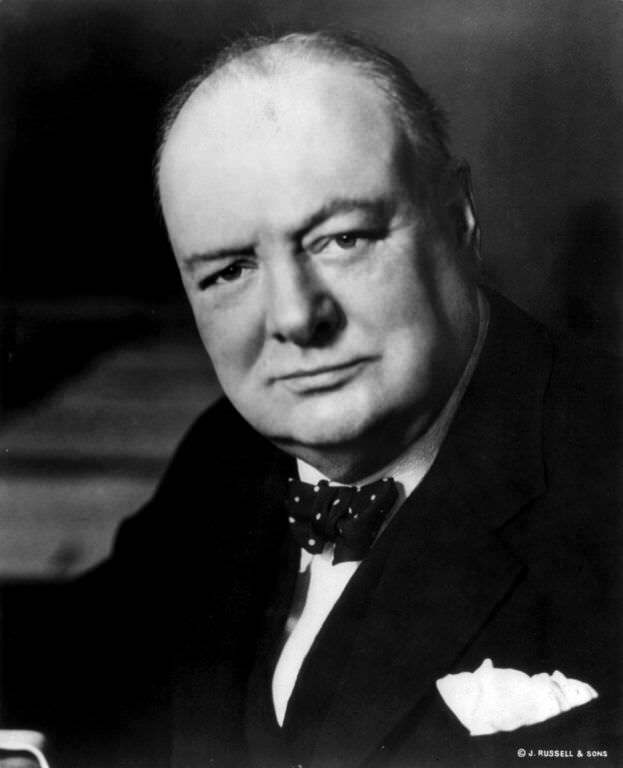 In a speech entitled The Sinews of Peace, British Prime Minister Winston Churchill warns of an “Iron Curtain” descending in Europe. The term refers to the barriers – political, military and ideological – that the Soviet Union is using to separate Eastern and Western countries. The Marshall Plan is established. Under the plan, the United States will spend more than $12 billion to help rebuild Europe. In part, the plan is an effort to curb the influence of Soviet communism in Europe. 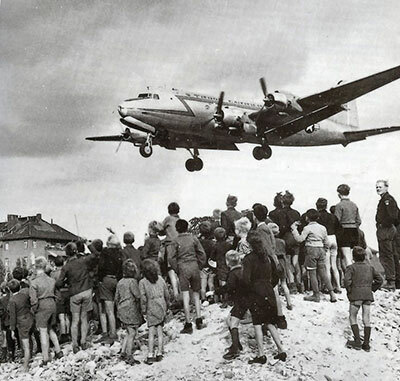 In response to the Berlin Blockade, France, Britain and the United States institute the “Berlin Airlift,” using airplanes to drop supplies into West Berlin. The tactic works and leads to the creation of two separate German states, East Germany and West Germany. The North Atlantic Trade Organization (NATO) is founded by the United States and Western European nations as a means of aligning against communism. There are 12 founding members of the alliance. The Soviet Union tests its first atomic bomb. Hungarians revolt against Soviet influence in their country. The Soviet military suppresses the Hungarian revolt and establishes a communist regime in Hungary. The Soviet Union launches Sputnik into space. 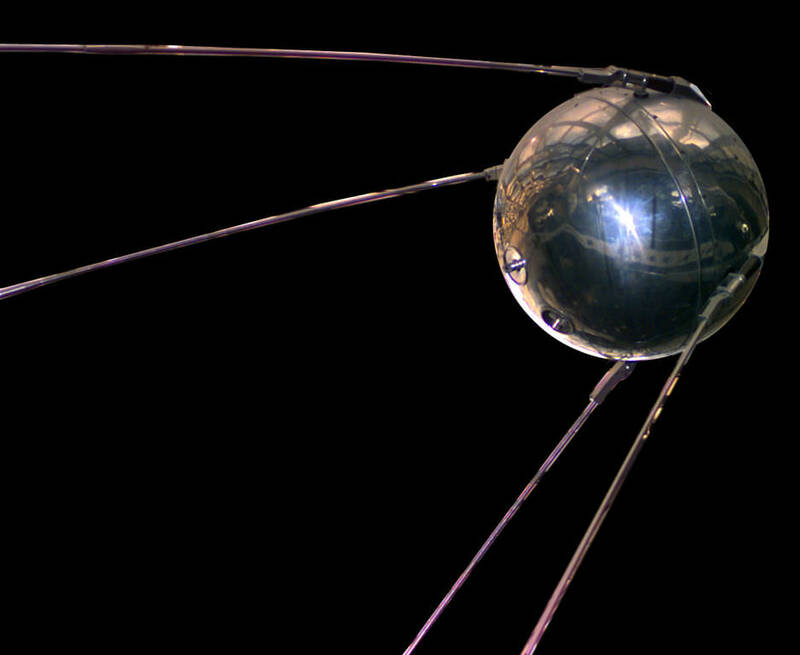 Sputnik is the first artificial satellite to orbit Earth. This is the beginning of the “Space Race” between the U.S. and the U.S.S.R.
Soviet leader Khrushchev issues the “Berlin Ultimatum,” ordering western troops out of Berlin. 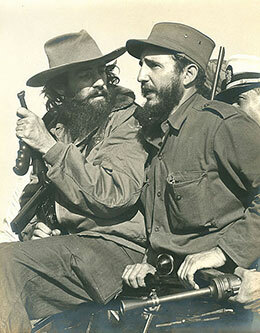 In Cuba, Fidel Castro and rebels force out dictator Fulgencio Batista and take control of the country. Cuba becomes the first communist state in the western hemisphere. Soviets shoot down an American U-2 plane when it flies over Soviet airspace. U.S. officials initially deny that the plane had been involved in espionage – a claim the Soviets are able to disprove. John F. Kennedy is sworn in as president of the United States. The CIA launches an unsuccessful attempt to overthrow Cuban leader Fidel Castro in an event later known as the Bay of Pigs invasion. 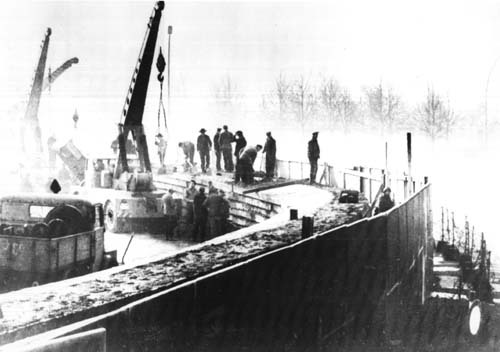 Construction begins on the Berlin Wall, a physical barricade separating West Berlin from the rest of East Germany. 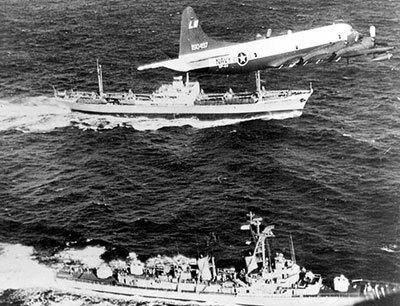 The Cuban Missile Crisis begins after the U.S. discovers Soviet missiles stationed in Cuba. The 13-day standoff between the U.S. and the Soviets is the closest the two sides come to nuclear conflict during the Cold War. The U.S., the Soviet Union and Great Britain sign the Partial Test Ban Treaty, which states that nuclear weapons can only be tested underground. President John F. Kennedy is assassinated. Lyndon B. Johnson becomes president of the United States. James Baker graduates from Princeton University. 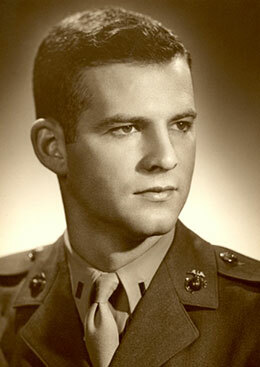 Baker serves in the United States Marine Corps, attaining the rank of first lieutenant and later captain in the U.S. Marine Corps Reserve. 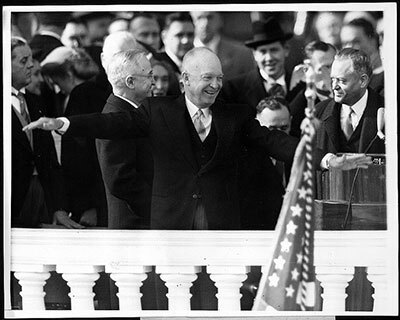 Dwight D. Eisenhower is sworn in as president of the United States. Soviet Premier Joseph Stalin dies. Nikita Khrushchev becomes the leader of the Soviet Communist Party. The Soviet Union and its allies in Eastern Europe (including East Germany, Czechoslovakia, Poland and Hungary) form the Warsaw Pact. The Warsaw Pact is a communist defense alliance that acts as a counterbalance to NATO. 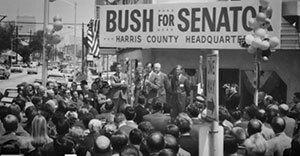 James Baker chairs George H. W. Bush’s unsuccessful Senate campaign. 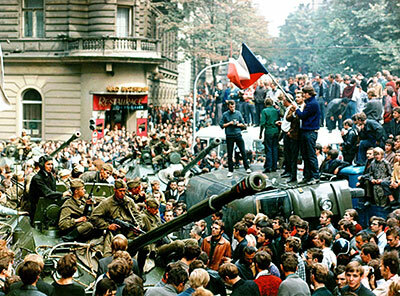 Soviet troops crush an uprising in Czechoslovakia. Richard Nixon is sworn in as president of the United States. 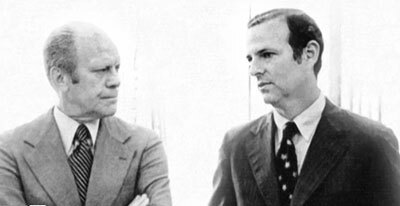 President Ford appoints James Baker as undersecretary of commerce. The first Strategic Arms Limitation Talks (SALT) conclude between President Nixon and Soviet leader Brezhnev. 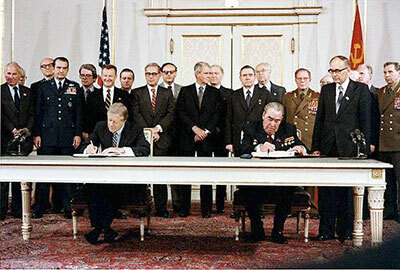 Their agreement marks the first time during the Cold War that the U.S. and Soviet Union agree to limit nuclear missiles. Richard Nixon resigns as president. Gerald Ford becomes president of the United States. The Apollo-Soyuz Test Project begins. A joint effort between American and Soviet astronauts, it marks the end of the Space Race. 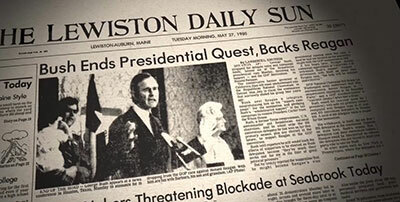 James Baker helps secure Gerald Ford’s Republican nomination for president and earns the nickname “Washington’s Miracle Man.” Baker manages Ford’s unsuccessful presidential campaign and then Baker returns to Houston. James Baker runs unsuccessfully for attorney general of Texas. It is the first and last time he runs for public office. Baker manages George H. W. Bush’s presidential campaign. Recognizing that Bush will likely lose, Baker makes a strategic decision that helps propel Bush into becoming Ronald Reagan’s vice presidential running mate. Jimmy Carter is sworn in as president of the United States. President Carter and Soviet leader Brezhnev sign the second Strategic Arms Limitation Talks (SALT) treaty. However, the U.S. Congress does not ratify the treaty because the Soviet Union invades Afghanistan later the same year. The Unites States protests Soviet involvement in Afghanistan by boycotting the summer Olympics, which are being held in Moscow. James Baker serves as White House chief of staff under President Ronald Reagan, sharing responsibilities with Edward Meese. 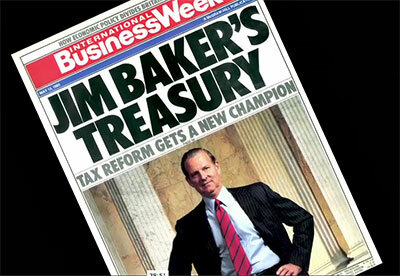 James Baker serves as United States secretary of the treasury. 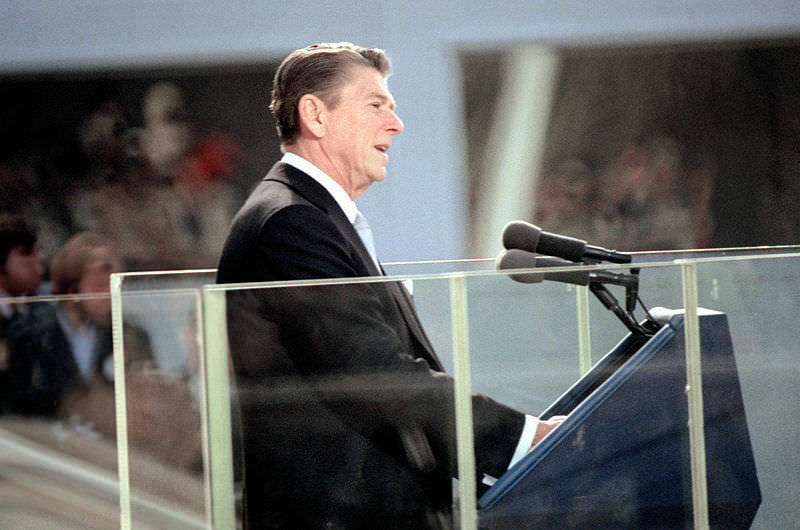 Ronald Reagan is sworn in as president of the United States. The Soviet Union and several of their allies boycott the summer Olympics, which are being held in Los Angeles. 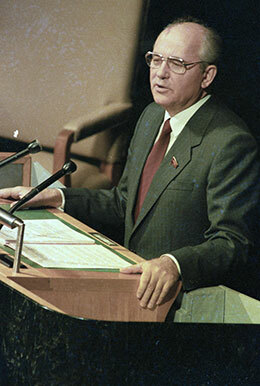 Mikhail Gorbachev becomes the general secretary of the Soviet Union. 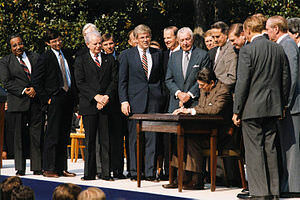 As secretary of the treasury, James Baker plays a strategic role in getting the Tax Reform Act of 1986 enacted with support from both parties of Congress. With President Reagan’s second presidential term nearing its end, James Baker manages George H. W. Bush’s successful presidential campaign against Democrat Michael Dukakis. Soviet leader Gorbachev introduces “Perestroika,” a movement to restructure the Soviet regime so it can be on par economically with capitalist countries. This dramatic restructuring helps lead to the end of the Cold War. 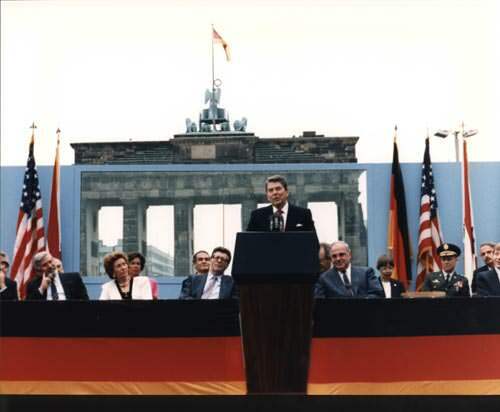 At the Reykjavík Summit in Iceland, President Reagan and Soviet leader Gorbachev discuss banning all nuclear weapons, but fail to come to an agreement. 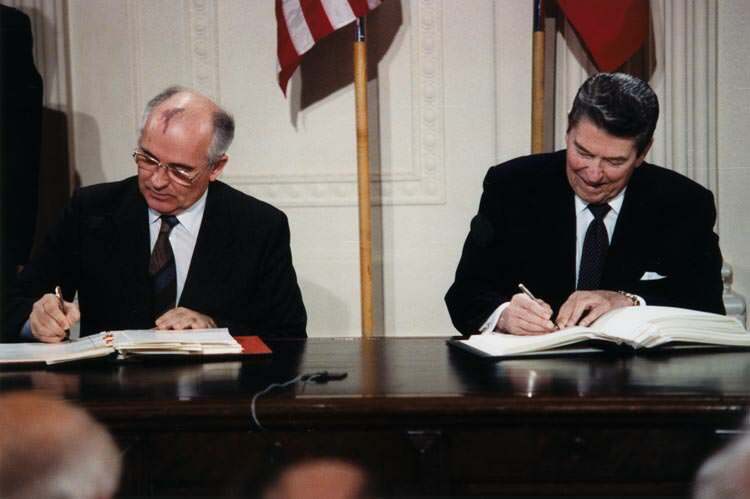 President Reagan and Soviet leader Gorbachev sign the Intermediate-Range Nuclear Forces (INF) Treaty, which eliminates intermediate-range nuclear missiles. James Baker serves as United States secretary of state. 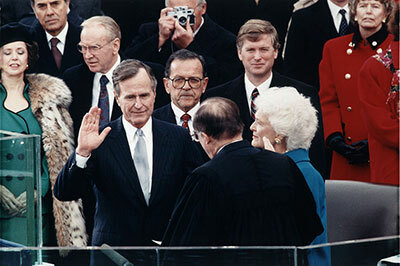 George Bush is sworn in as President of the United States. The Communist Party loses during elections in Poland. The Hungarian constitution is amended to allow multi-party elections. An East German official mistakenly announces that the borders of the city of Berlin are open. 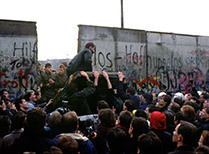 Tens of thousands of East Germans begin streaming over the Berlin Wall. The wall is later torn down. 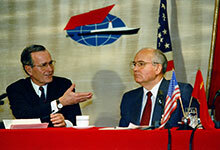 At the Malta Summit, President Bush and Soviet leader Gorbachev announce the beginning of a new era of peace. Communist governments fall in Czechoslovakia, Bulgaria and Rumania. The decline of the Communist Party in Europe takes place over a two-year period. 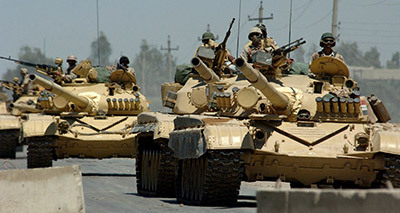 After Iraq’s invasion of Kuwait, U.S. Secretary of State James Baker forms an international coalition against Iraq that includes Iraq’s Arab neighbors and the Soviets. James Baker leads peace talks with Arabs and Israelis at the Madrid Peace Conference in Madrid, Spain. James Baker serves as White House chief of staff, the last public office he is to hold. After leaving public office in 1993, James Baker becomes founding member of the James A. Baker III Institute of Public Policy at Rice University in Houston, Texas. He continues to practice law and serves in a variety of advisory capacities, serving both public and private sectors. Notably, he assists George W. Bush in winning the presidency when there is a vote count dispute in Florida. Iraq invades Kuwait. By the end of February 1991, Kuwait is liberated by an allied coalition led by the United States. The Warsaw Pact is dissolved. 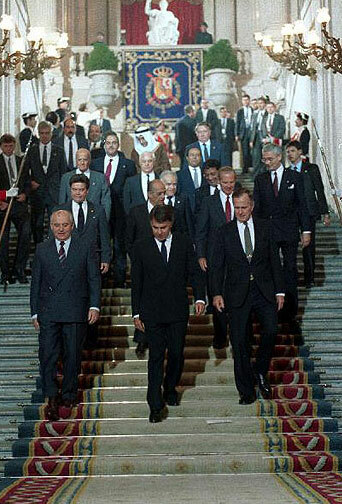 The Soviet Union is formally dissolved into 15 separate countries, including Russia. This marks the end of the communist regime. Russia becomes a federal semi-presidential constitutional republic.